Zope is an application server, which is a platform that makes applications accessible by Internet (by your web browser, for example). So Zope can deliver content on an intranet or an Internet site. 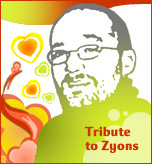 Objectis gives you a personal space on a Zope instance. You will be granted the Manager role on this space, which allows you to manage and perform every operations you want. Pythonology, a website dedicated to Python evangelism, which provides a huge quantity of Python-related links : http://www.pythonology.org.